Lose up to 1-2 pounds of FAT per day! Get Dr. Simeons' eBook 'Pounds & Inches' Instantly! Limited Time Offer - Get FREE SHIPPING! 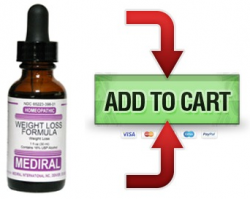 Lose Weight With HCG Homeopathic Drops! If you are wanting to get rid of those extra pounds that seem to not come off easily, then you will love what we have. This weight loss formula has homeopathic HCG in it, and when combined with the specified diet you can lose a lot of abnormal and stubborn fat. With our HCG drops, you can diet without a lot of the headaches and dizziness and feeling week that is associated with a lot of other diets out there. A lot of people actually find that they feel a lot "cleaner" by following the diet. For instance with the atkins diet, you end up eating a lot of fat, which might not be the best for your heart, kidneys, or blood pressure. A lot of people experience lower blood pressure while doing this diet because of staying away from a lot of saturated fats, and dairy.